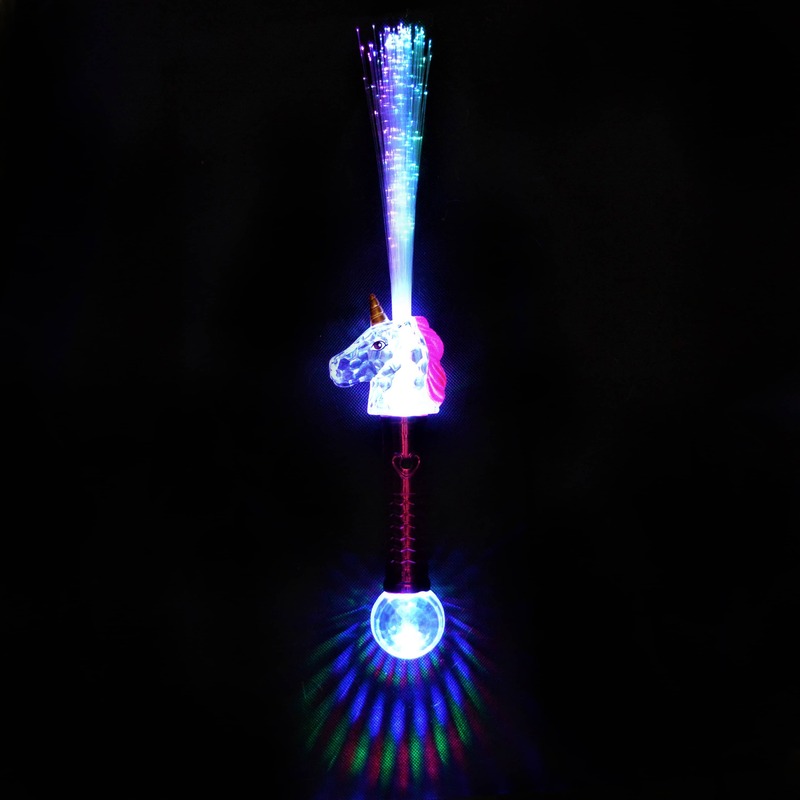 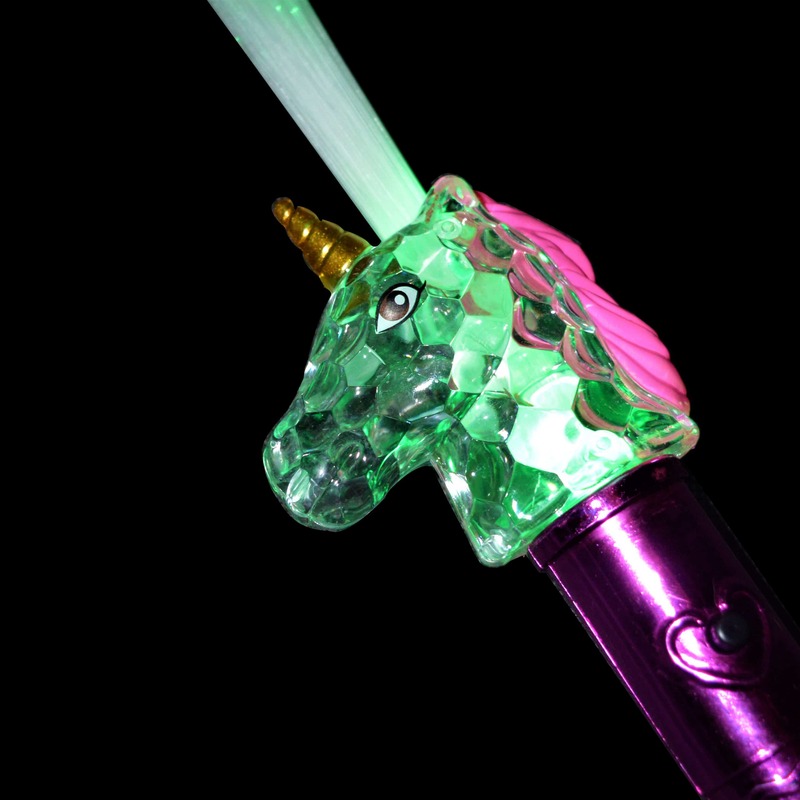 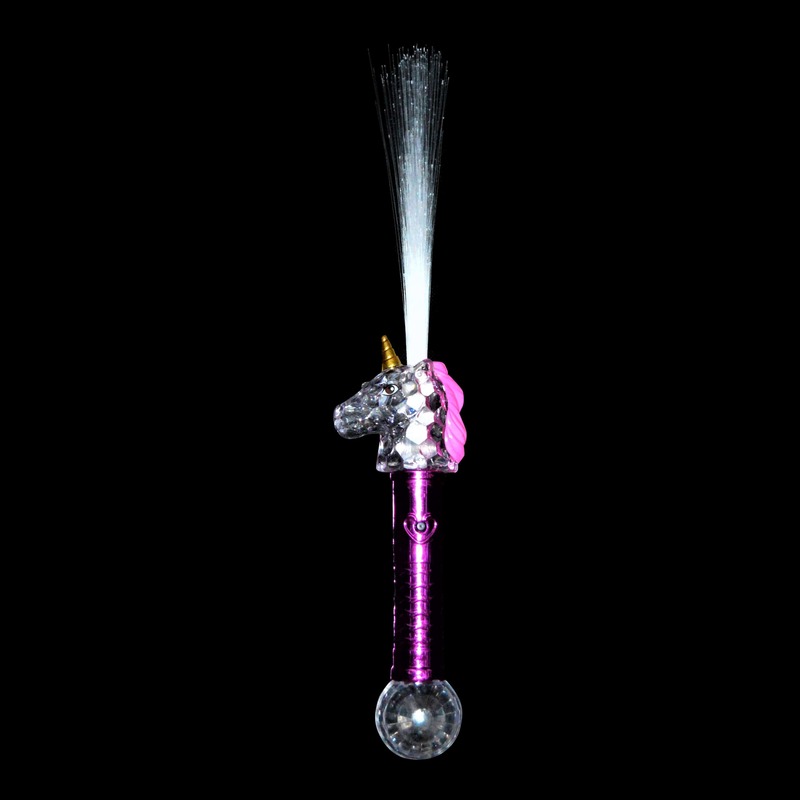 We are super excited about our magical, light up wand for Unicorn lovers. 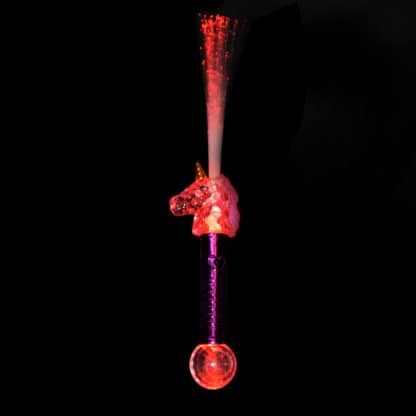 With a swishing sway of glowing fibre optic strands emanating from the light up, crystal effect unicorn head, play time can be transformed into a shimmering shower of glowing colour. Perfect for the little Unicorn fan in your life to add some magic to make believe play, but equally popular with the young at heart looking to add some unicorn enchantment to their festival accessories. 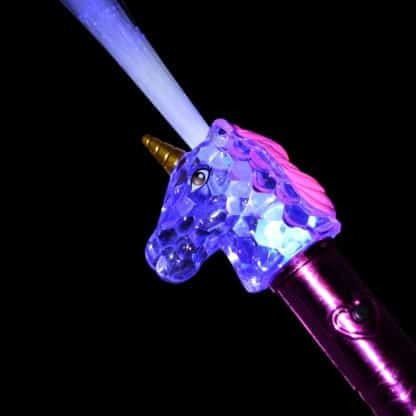 Featuring a stunning Unicorn topper with crystal effect facets to enhance the glow of the changing LED light. The wands have a metallic-toned, easy grip handle, and an explosion of fibre-optic strands. 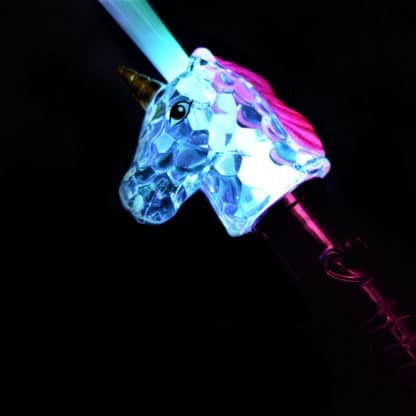 At the base of the handle is a crystal effect prism emitting a fractured multicoloured light show of its own. 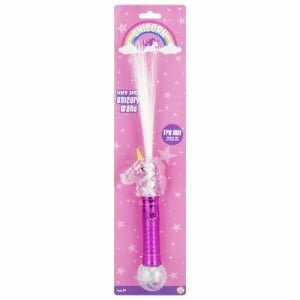 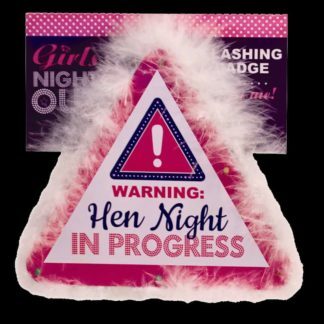 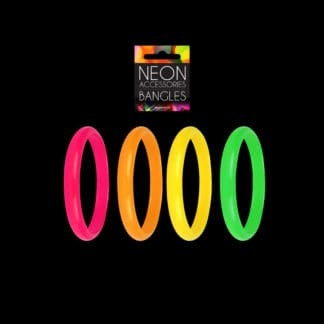 This vibrant flashing wand is guaranteed to provide hours of endless and enchanting entertainment.